In this Volunteers’ Week we want to celebrate the work of the people who volunteer in Big Lottery Funded Reaching Out Connecting Older People (ROCOP) programme. Volunteers are crucial to the delivery of many of these projects. The ROCOP programme funds projects to enable more older people at risk of exclusion or isolation to lead fuller, connected lives as valued members of their community and focuses on older people who could be perceived as ‘hard to reach’. Many of the grant holders recruited new volunteers as part of their project in order that they could provide services to the older people. We have got to know the volunteers and their work through working with the sixty-five grant holders since the start of the development and support programme in 2011. These volunteers do amazing work that is indispensable in terms of the success of the projects. The Mid and East Antrim Agewell Partnership have 130 core volunteers that are vital to the work of their organisation. These include the volunteers that ring older people every day to check in with them in the Good Morning scheme, volunteer handymen/women, volunteer advisers who advise on benefit checks and filling in forms, and volunteer ‘Age Champions' that call door to door to make contact with hard to reach older people. As part of Volunteers’ Week they are holding a volunteers’ award night and dinner to thank them and celebrate all they do. 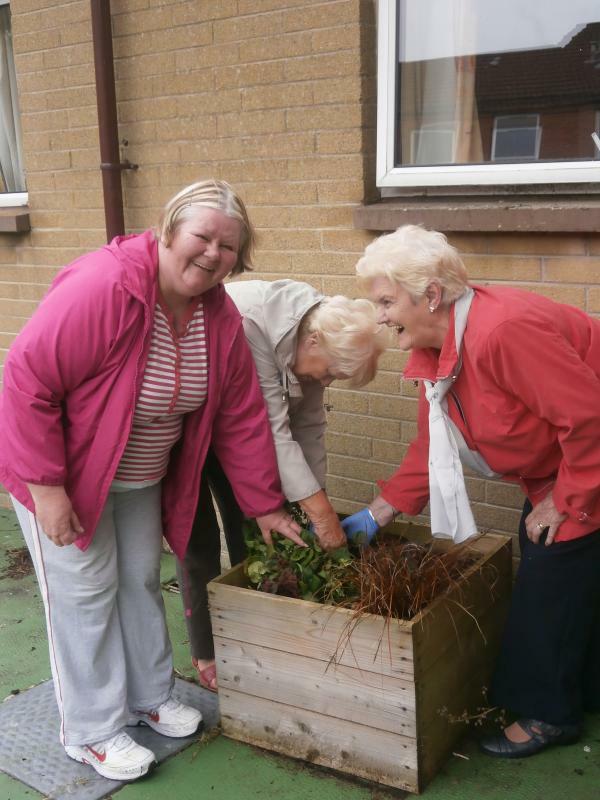 NIAMH involve a wide range of volunteers through its Living Well Living Longer ROCOP project in the Armagh, Dungannon, Lisburn and Newtownards Council areas. The project provides help and assistance with attending hospital visits, shopping, getting out and about, home security and health concerns. Volunteer befrienders are matched with older people and visit them on a regular basis to provide friendship and practical support. As part of Volunteers’ Week they are holding an afternoon tea to celebrate their volunteers’ achievements and say thank you. As well as, volunteers in the Alzheimer's Society Dementia cafes across Northern Ireland, volunteer befrienders with Arthritis care and Fermanagh and Armagh Connected Together (FACT) and Volunteer Peer Advocates in the Disability action project. The NICVA development and support programme has provided training and support to help volunteers and staff effectively deliver and manage their projects such as safeguarding, getting your message across, governance and TQUK Education and Training. It has also helped those who manage volunteers to improve their practice through courses such as recruiting and selecting volunteers, managing volunteers and ILM level 3 Award in management of volunteers. To date 69 volunteer managers have completed these courses and have reported recruiting more volunteers, reviewing their volunteer roles, being more confident in dealing with difficult situations and formally recognising their volunteers more.